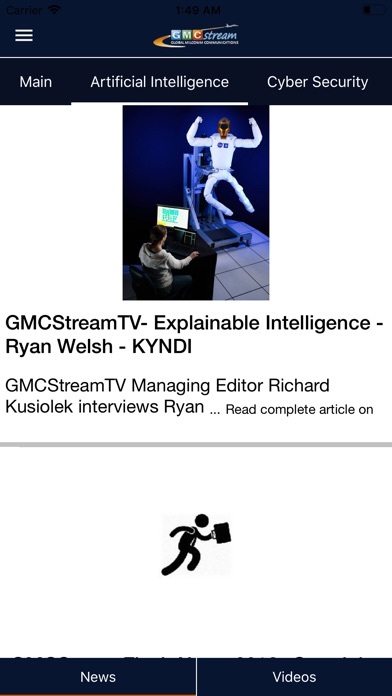 GMCStream©™ brings you fresh video and print insights into the U.S. and Global Aerospace and Defense Industries. Keep yourself updated with the news that matters the most! 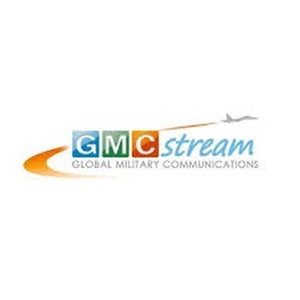 Key Features: Get breaking news immediately GMCStream provides dynamic content to keep you informed about the latest space, military, and government headlines from around the world. Your Newsfeed - Your Choice. 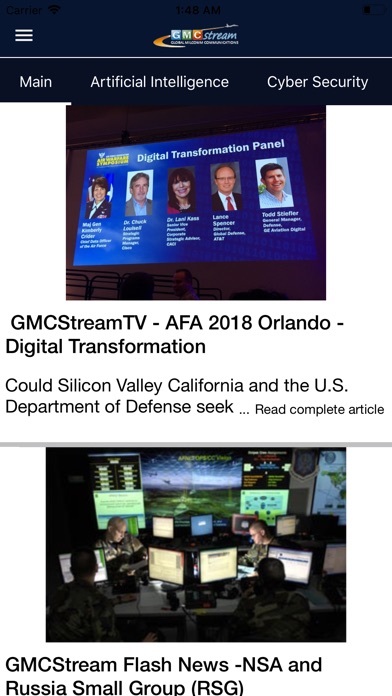 Select topics that matter and personalize your feed with the Aerospace, Technology, and Defense action headlines that make a command difference. 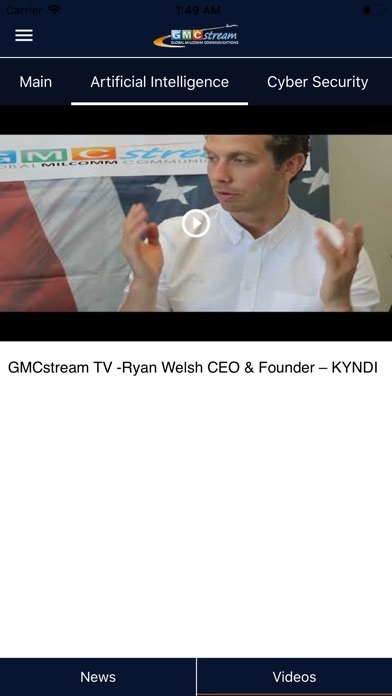 Browse Informative Action Videos. 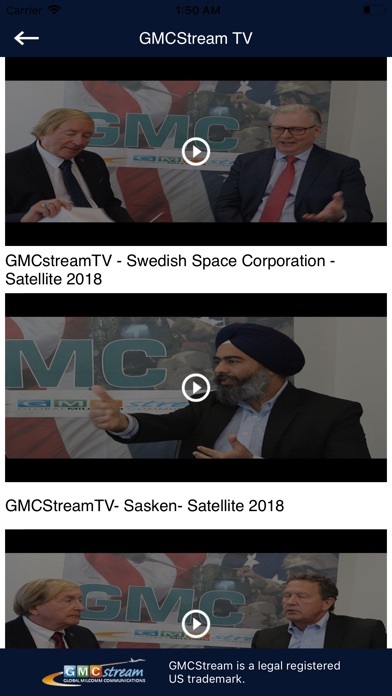 GMCStream©™ is an American Silicon Valley print and digital publication that tracks the trends, drivers, and technologies that fuel the Aerospace and Defense communication sectors. 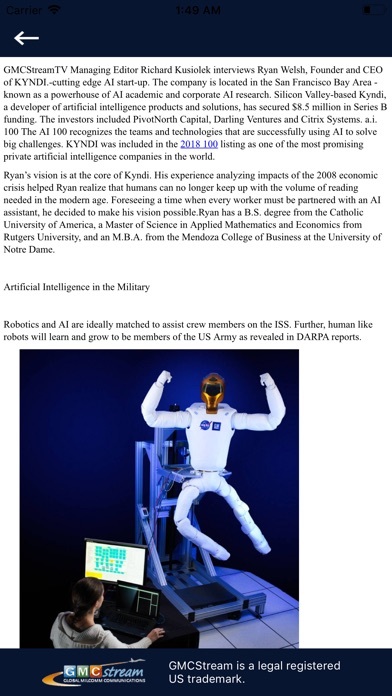 Established in 2013 as a technology driven digital on-line publishing organization - We research, analyze, and highlight MILCOM and SATCOM problems and solutions that may affect Global National Security.